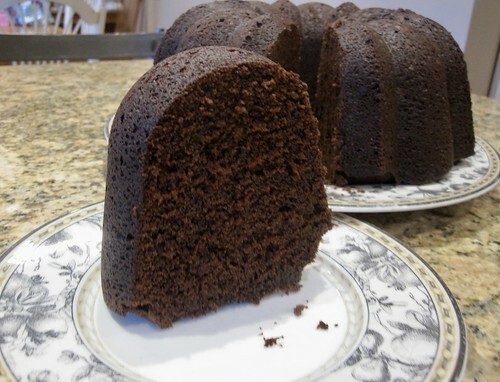 Pour batter into prepared Bundt pan, being careful not to pour batter on sides of pan. Bake until wooden skewer inserted into center comes out with few crumbs attached, 45 to 50 minutes. Cool in pan 10 minutes, then invert cake onto parchment-lined wire rack; cool to room temperature, about 3 hours. Dust with confectioners’ sugar, transfer to serving platter, and cut into wedges.